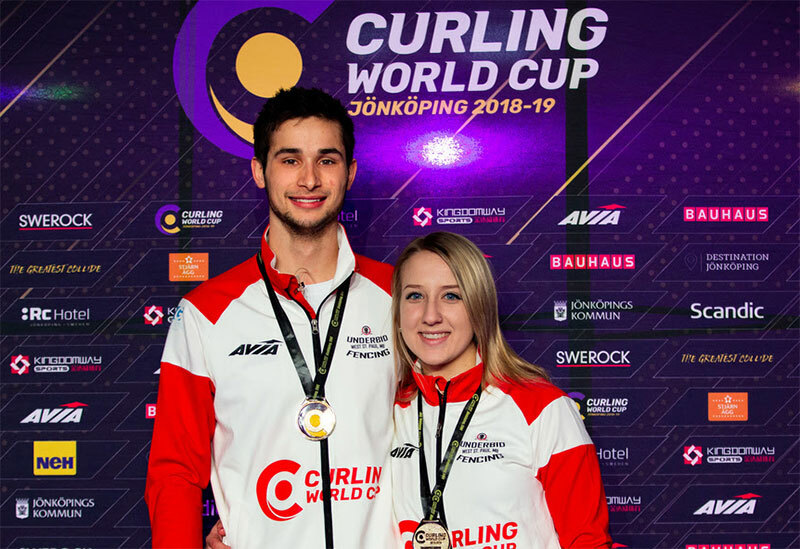 Jonkoping, Sweden -- Young Canadian duo Kadriana Sahaidak and Colton Lott defeated Norway's Kristin Skaslien and Thomas Ulsrud 7-5 to claim the mixed doubles title at Curling World Cup leg three in Jonkoping, Sweden. It has been a remarkable week for the Manitobans, who beat four Olympic medallists in Jonkoping. The pair take home the winners' cheque of $USD 10,000 (plus $USD 3,250 in round-robin earnings) and book their spot in Beijing's inaugural Grand Final in May. Despite being down 4-0 after three ends of play, Norway battled back with two points in the fourth end to close the gap 4-2. The momentum changed after a steal of two by Norway in the seventh end to level scores 5-5 heading into the eighth and final end. "It means everything," said 23-year-old, Lott. "We've been in a couple of tough finals, we lost the National final in Canada and then we lost the Canad Inns this year. An emotional Sahaidak, 19, added: "It's huge to reach the Grand Final! We've both never been to China so we're going around the world and we're pretty ecstatic." The Norwegians pick up a cheque for $USD 5,000 (plus $USD 3,000 round-robin earning) after finishing runners-up. "It was a good game," said 47-year-old Ulsrud "I thought we played pretty well in the beginning, but it didn't show on the score boards. "Too little too late is the quote for this game. We were down 4-0 and came back and it was close!" Skaslien added: "Both teams played well. After the break we picked up our game, but it's mixed doubles so anything can happen."